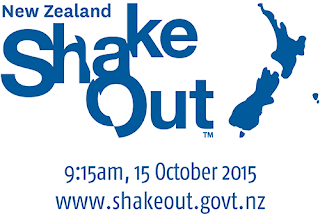 Room 9 (and all the other classes at Wakari School) participated in a New Zealand wide earthquake drill on Thursday. We discussed the right steps to take in an earthquake, and the reasons why. When we had our earthquake drill the sensible students in Room 9 were able to calmly drop, cover and hold on. Well done!!! We have to make sure that we keep practising the right steps to take so that if we ever have an earthquake in Dunedin we can be safe.